China is urging European and Japanese officials to improve coordination and cooperation to avoid a possible currency war. Last week, finance ministers from a number of G8 and developing countries, including Russia from BRICS, accused Japan of manipulating the gradual devaluation of the yen since September in order to give its exports an advantage. “We will closely watch the spill-over effects of the new Japanese policy on the world economy, the emerging market in particular,” Deputy Governor of China’s Central Bank Yi Gang told the Xinhua news agency on the sidelines of the World Economic Forum at Davos. On Saturday, Japan’s Minister of Economy Akira Amari rejected the charges and said he would not comment on a foreign exchange rate because that is determined by the market. “What we do is to implement policies,” he told business leaders in Davos. Yi warned that other banks in the US or the European Central Bank could adopt similar ultra-loose monetary policy which would create unstable markets. “[There is the] risk of triggering a race among countries to devaluate their currencies,” he said. 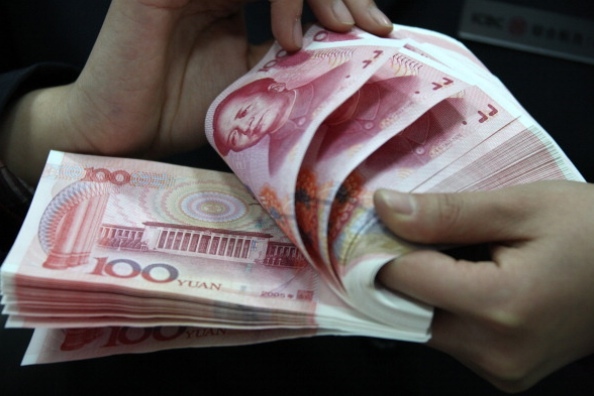 For China’s currency – the yuan, also known as the renminbi, Yi said that Beijing will continue to expand its internationalisation “on a market-oriented basis without intentionally promoting it”. The Bank of China opened its trading in the US earlier this month, following similar trading in Hong Kong in July 2012. Demand has been rising since then; Taiwan, Singapore and Australia are already using it as a trade currency. Quoting statistics from Standard Chartered Bank, Forbes says the yuan is likely to experience higher demand as the currency of choice for some countries trading with China.